March holidays have begun! It is time to start my engine and read my lit books. Loads of pages from so many different books I have yet to finish reading. I better buck up my reading skills before the next term starts for semi major examinations are on the way. Anyways, before I talk about what I’m going to do during the holidays and perhaps give a summary of whatever happened in this whole term, I’ll like to talk about the IT Show I just attended. In past years I loved the IT Show. Not because they had great prices or deals, but simply the sake of going somewhere with so many people browsing and shopping for gadgets and technology. I hate the crowd, how ironical and paradoxical to say that. I mean yeah the people is cool but yet I hate squeezing too much, makes me want to puke. This year I went to the IT Show to get myself something, a tablet input. I do have a tablet laptop bought 5 years back but it was way too troublesome to operate on that and my desktop. Therefore I decided to purchase a tablet input for my desktop. After reading up on the net, I come to know that Wacom has finally introduced a new series of consumer priced tablet inputs. Wacom is famous for their tablet products for professionals and seldom do any of their products come in cheap priced packages. However, a year or 2 back did they introduce the so called normal consumer line of products, the bamboo series. Yeah, so I got myself a Wacom Bamboo Pen at a normal price of $120 (Same price as everywhere else in Singapore I hope.) Purpose of getting a tablet input? Studying, making notes on the computer and mainly because I want to learn how to do some digital art. Ain’t that great in art but I do want to try learn how to draw. I mean I guess it’ll be fun. Who knows I might have talent in it? (Not too sure though, art for me during my lower secondary school years ain’t telling me that I have the hidden talents). Drew something up following a tutorial in around 20 mins or so. Horrible but please don’t laugh. It is my first ever try. Besides getting the tablet input, my Dad also got himself a new laptop, not breaking his trend of at least 1 new laptop a year. However, this time he does have a reason in getting a new laptop. He accidentally destroyed the screen of his previous one. I mean the whole screen cracked due to heavy object on it or something in his workplace. Don’t know much about the details but the damage done is rather bad. So he had gotten himself an i5 laptop, Asus and rather good specs in my opinion. Price wise, yeah probably reasonable but not say extremely cheap or a must buy. I did hear that there are some good deals in the road shows held by the polytechnic, never mind though what is bought cannot be refunded. With that said, IT Show 2010 is like any other IT Shows/Fairs, the same products at prices similar to that without the show or even higher. Yes higher and not lower, how ironical. Still, I did see some new stuff in this show for example the 3D stuff by Sony (never really went to see since it was way too crowded) and the Roccat peripherals, extremely cool and awesome looking mices and keyboards. Other than that, everything else is as per normal, crowd is still there, show girls still there so on and so forth. March Holidays will be busy for me. Not because of homework, in fact I have close to no homework at all, but due to the extra curriculum activities such as the student publication and hockey. Have hockey trainings on three of the days and a 2 day camp yet to decide to attend (compulsory but I do have reasons not to go). Hope it’ll be fun especially the trainings for hockey. Really want to get my skills better within this year. Competition is tough, very tough. With all that said all I have to do is remind myself to do my reading and finish my reading by the end of the holidays. If not, I’ll be facing loads of trouble in English. Term 1 passed rather quickly, not too busy and the pace seem to be slowly picking up. 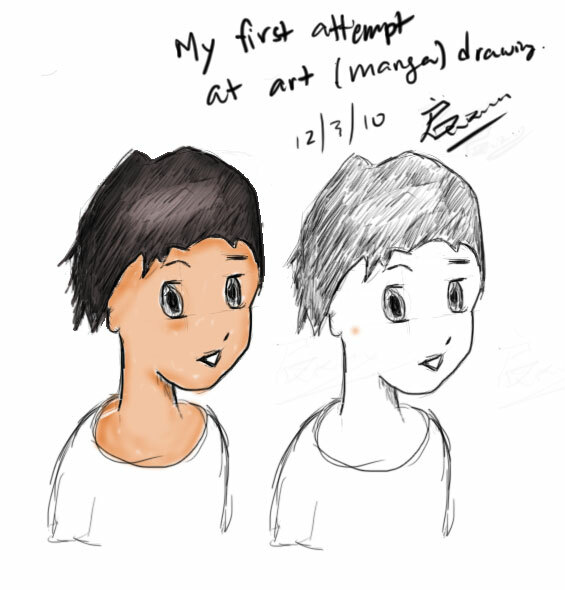 Hope I’ll be able to cope with the fast paced chaotic style should it turn out to become like that in the weeks to come.